Azenia obtusa - Hodges#9725 (Obtuse Yellow). 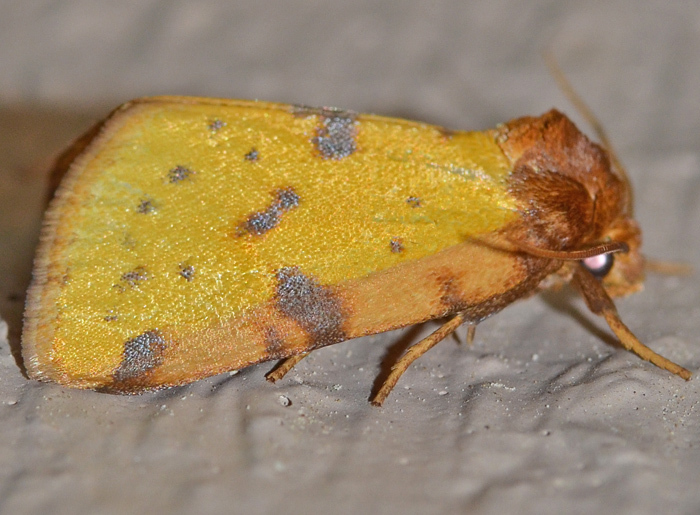 Among its grayish brown colleagues, this yellow moth caught my immediate attention. Its larvae have been found on Great Ragweed (Ambrosia trifida), which I (as a mild allergy sufferer) greatly welcome. 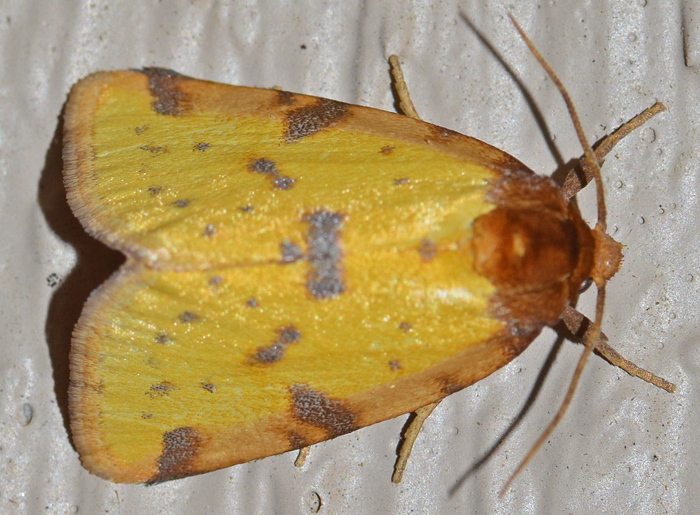 The wing span of the Obtuse Yellow is about 2 cm.